Doha City, and Qatar in general, are full of history and contrast. From the rapidly developing cityscape to ancient artefacts – Qatar has something to offer every visitor. 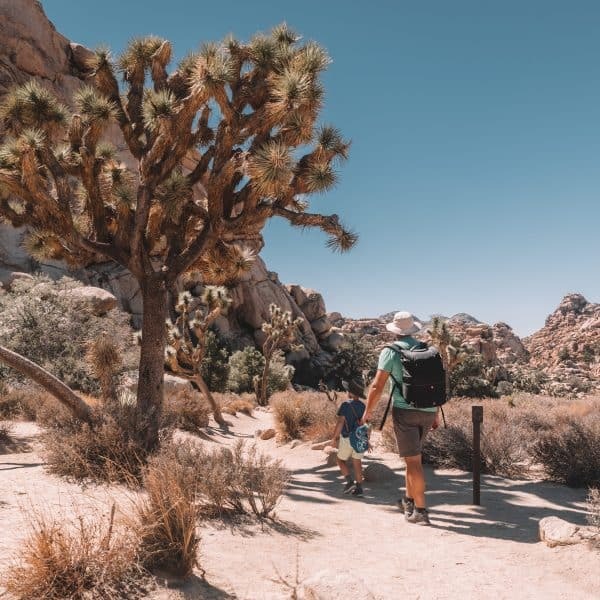 Whether you’re just visiting Doha for a quick stopover, or you’ve planned a longer visit to Qatar, there is plenty to keep you busy. Read on to find the best things to do in Doha, Qatar – and they’re all free! 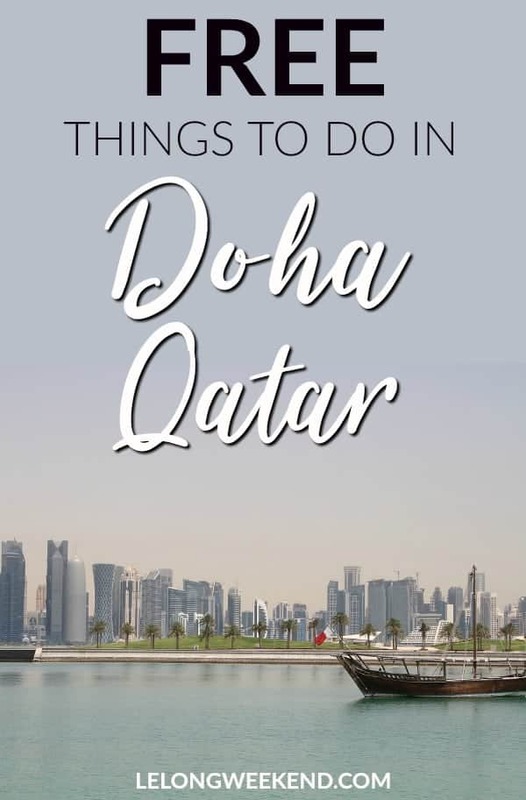 If you’re short on time in Qatar, or you don’t have transport to explore further, there are plenty of free things to do in Doha City to keep you occupied. The city is fairly walkable, but if you get tired, taxis are very cheap too. The top of the museum building resembles an Arabian woman wearing a birka. 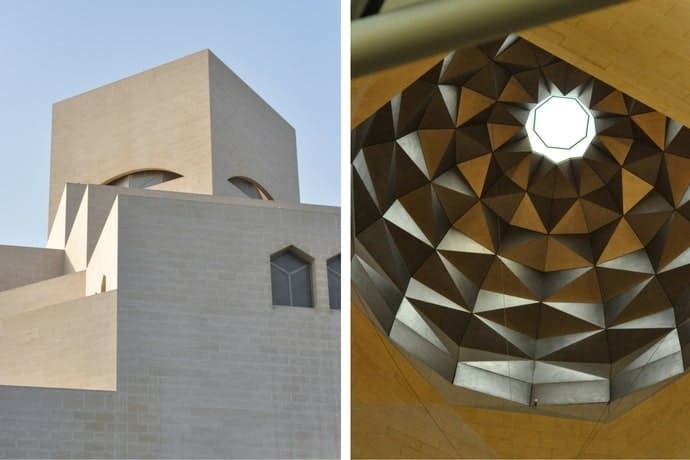 A short 15-minute taxi ride from Hamad International Airport, the Museum of Islamic Art is a must-do activity if you’re only passing through Qatar for the day. 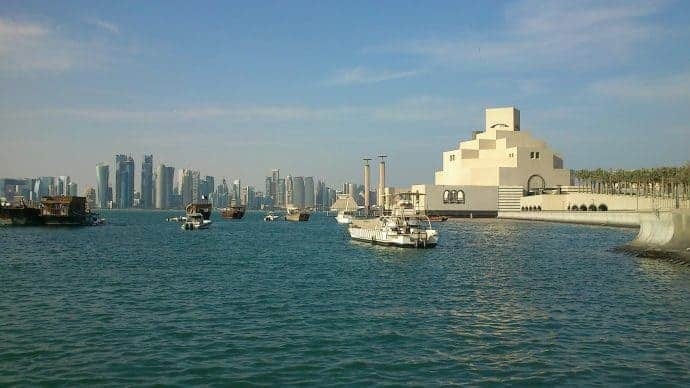 Built on its own little island of reclaimed land at the southern end of the Doha Corniche – it’s also just a short walk from the famous Souq Waqif. 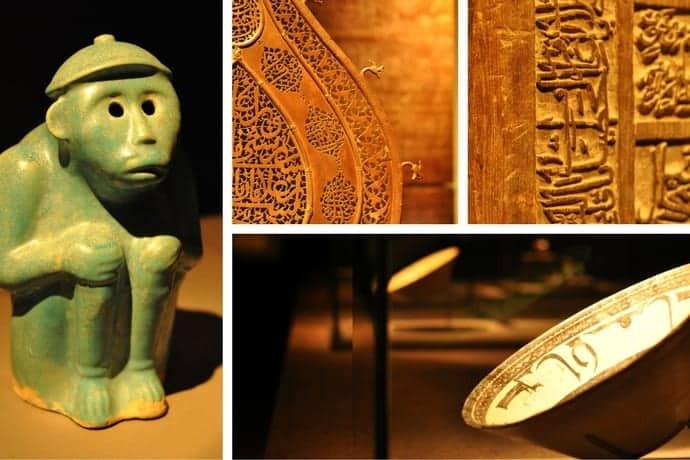 I’m certainly no art aficionado, but I still thoroughly enjoyed strolling through this museum and taking in the many collections of ancient Islamic art. The building that houses the museum was designed by Chinese architect Ieoh Ming Pei – the same man behind the Louvre pyramid in Paris. The architecture of the building is as captivating as the art it houses. English guided tours run every Wednesday and Thursday at 2 pm, and Saturday at 4 pm. Alternatively, you can pick up a free audio guide at reception. The Museum is open every day except Tuesday but has varied opening hours. See the MIA website for further information. If you’ve ever googled Doha, at some point you will have stumbled upon a breathtaking photo of the cityscape which was no doubt taken from the Doha Corniche. Stretching several kilometers in length, the corniche runs in a horse shoe shape from the West Bay business district to the Museum of Islamic Art, and offers unparalleled views of the City. Views from the Doha Corniche. The palm-tree lined promenade makes the perfect place for a walk or a jog when the weather allows. If you’re looking to relax, there are plenty of green spaces to grab a coffee and sit down under the shade of a tree to people-watch. Tip: Sheraton Park at the West Bay end of the Corniche offers free wifi – look out for the iPark sign to connect. 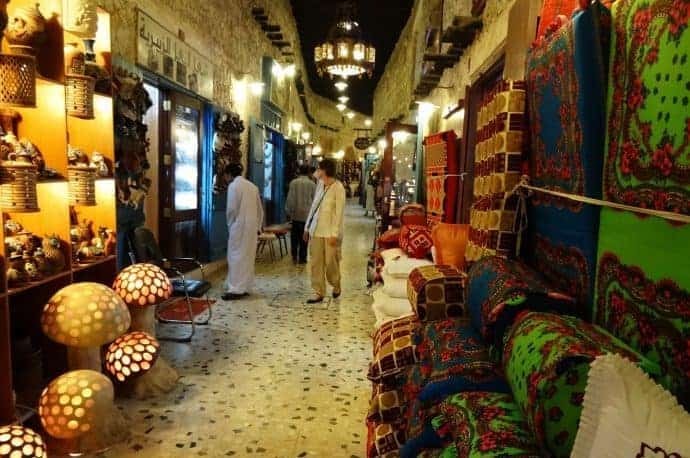 Doha’s oldest souq – Souq Waqif – went through an extensive revamp in the mid-2000’s and is now widely regarded as the cultural heart of Doha. An excellent place to shop for gifts or souvenirs, there are a range of goods on offer – from spices and traditional clothing; to local artwork and antiques. Unfortunately, the souq isn’t immune to the odd shop selling cheap and cheerful tourist paraphernalia either. 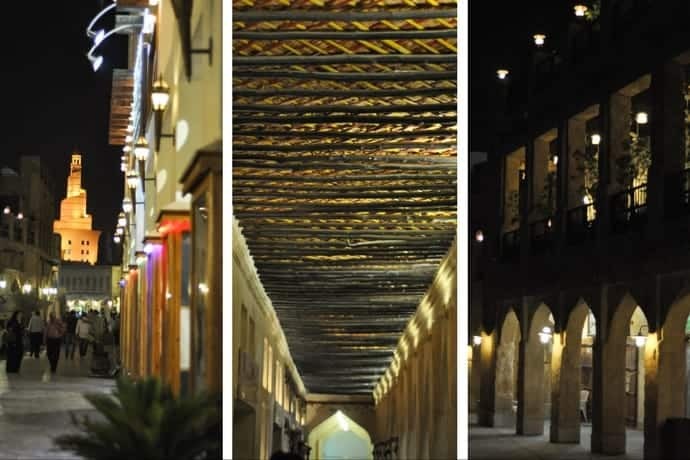 Souq Waqif is open 10am – noon and again from 4 pm – 10 pm, but it’s in the early evening that it really comes to life. Sit down for a shisha and refreshingly cool mint soda at one of the lounges lining the alleyways, or sample the middle-eastern fare on offer at a number of restaurants in the souq. Tip: Skip the animal market within the Souq – if you’re sensitive to animal suffering it will upset you. Read also: A to Z of things to see and things to do in Doha Qatar of things to do in Qatar. 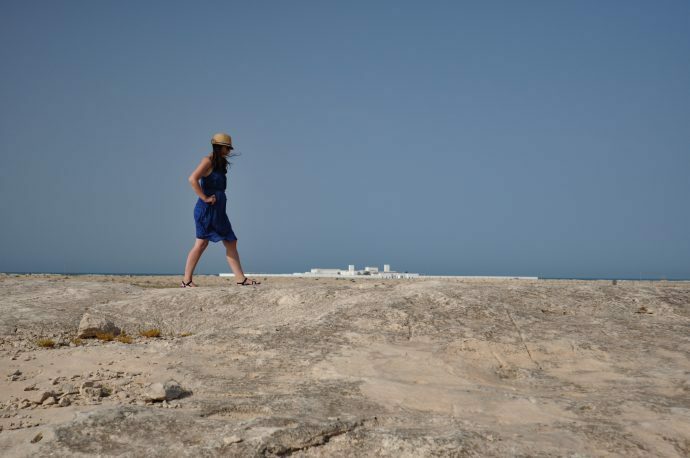 If you can, I’d recommend getting out of Doha to explore what’s on offer outside of the capital. 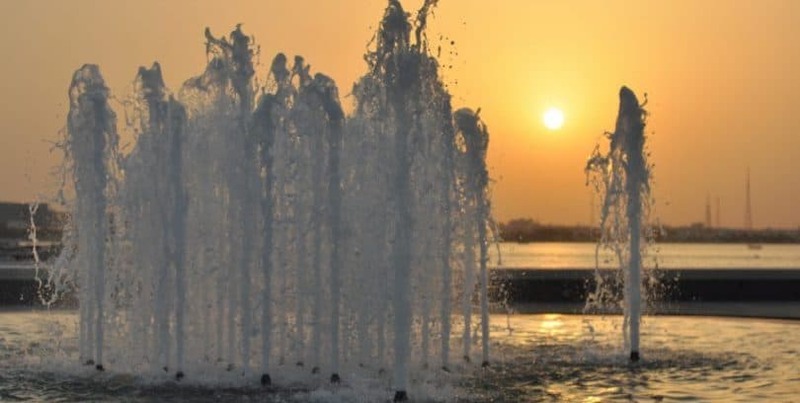 There are plenty of free attractions you won’t want to miss in Qatar! Al-Jassasiya rock carvings are a little-known gem in Qatar. There are no signposts, no directions, and very little to tell you you’ve arrived at the right place once you get there. Despite this, it’s well worth the trip to see approx 900 well-preserved petroglyphs depicting cup-shaped holes, boats with oars, fish, scorpions, donkeys and turtles. The age and purpose of the glyphs is still in debate, but they give an impressive glimpse into the ancient roots of Qatar. 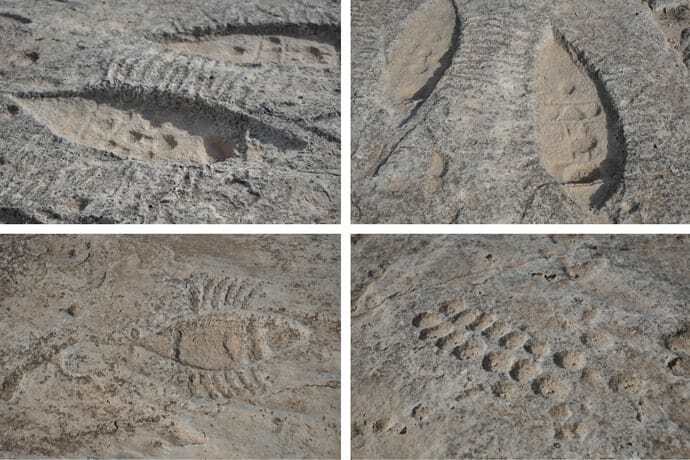 The rock carvings are located about an hour north of Doha. Take the Doha Expressway north and merge onto Al Shamal Rd. Take a right at exit 66 and then take the first paved road on your left. Drive down this road for approx 3kms until you see a large area with a simple wire fence surrounding it. Leave your car outside and go exploring by foot. 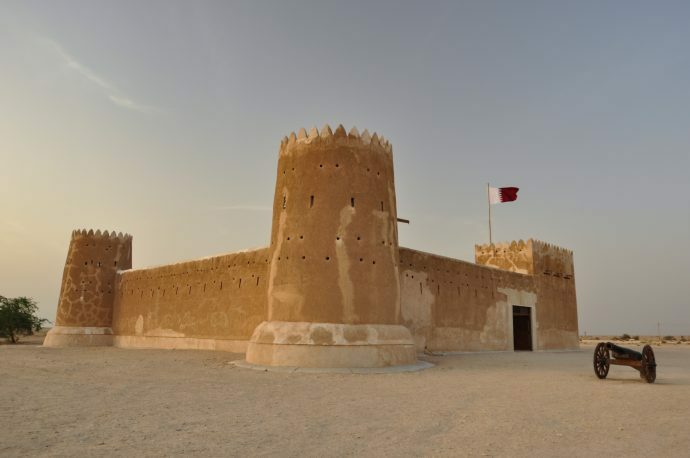 105km from Doha lies Qatar’s first UNESCO World Heritage Site – Al-Zubarah ruined village and fort. 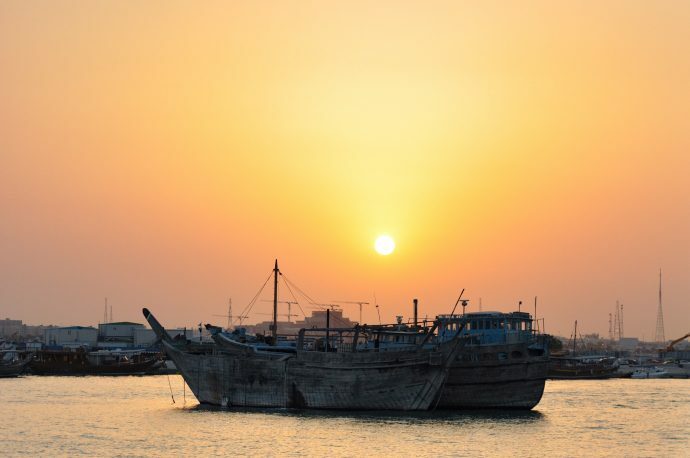 Formerly a pearling and fishing village, Al-Zubarah was abandoned in the early 1900’s and was largely buried by sand until archaeologists began excavating the area in the 1980s. You can take a self-guided tour around a small area of the site – follow the signposts or ask at the fort for direction. 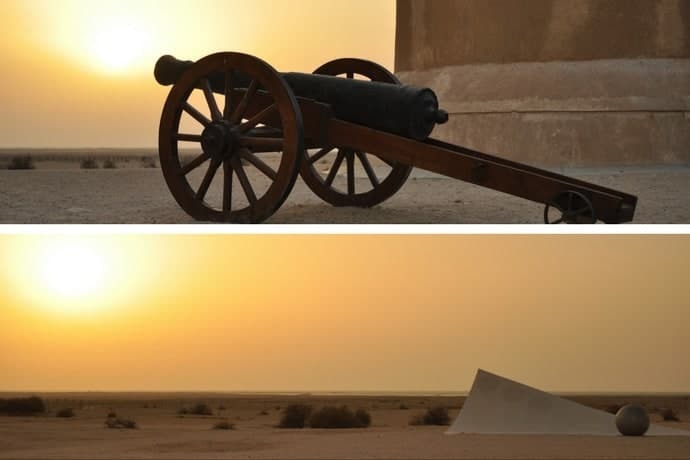 The more recent Al-Zubarah Fort was constructed in 1938 using traditional Qatari materials – coral stones, limestone and compacted mud. It was once used as a military and police base, but now houses a visitor centre with exhibitions telling the tale of the town’s history and culture. Although possible to get public transport to Al-Zubarah – buses take approx 2 hours and are few and far between. The fort and village will keep you busy for a couple of hours, but past that there is nothing more to do in the area. Give this one a miss if you haven’t got your own car to explore. 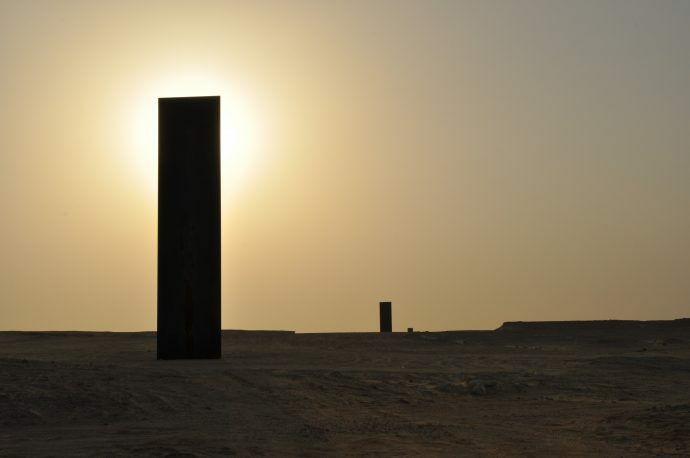 “East-West/West-East” by renowned sculpture Richard Serra is an art installation of grand scale set deep in the Qatari desert. Four towering steel posts span over a kilometre through a corridor framed by limestone cliffs. 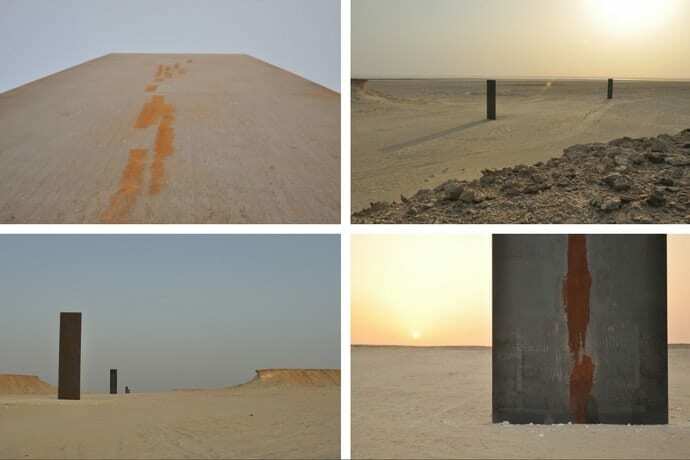 Each post reaches 14 – 16m above the desert service, but they are all level at the top. This is an art installation that is best admired from all angles. Get up close to appreciate the rusty tones of the oxidising steel and the sheer height and size of the posts. Climb the crumbling cliffs on either side to take in the grand scale and contrast against the dusty desert bed. 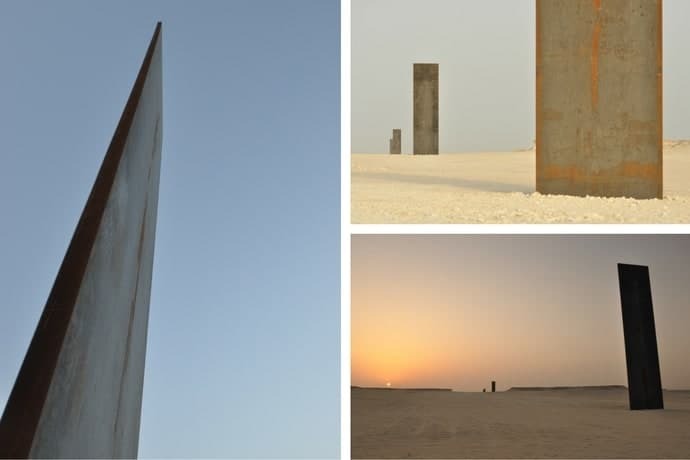 Located approx 80kms West of Doha in the Brouq Nature Reserve – you’ll need a 4WD to access the East-West/West-East sculptures. No visit to a desert country would be complete without doing the obligatory sand dune climb. 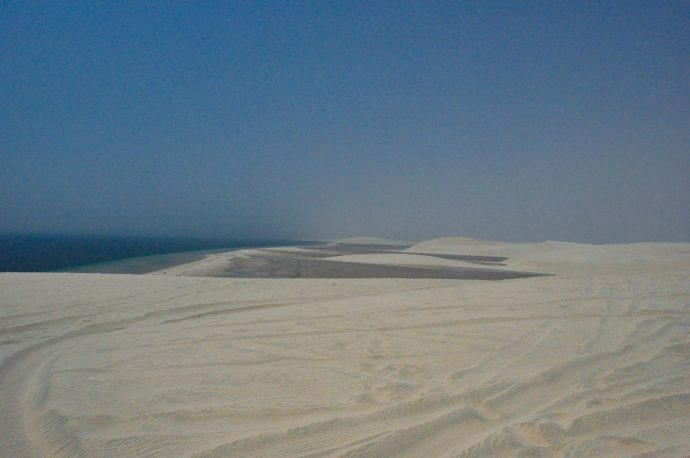 We drove south of Doha to Mesaieed Beach where you can enjoy a not-too-strenuous climb and be rewarded at the top with spectacular views over the endless dunes and waters of the Persian Gulf. Those looking for a bit more adventure can rent 4×4’s for a fun day of dune bashing or head out on a desert safari. Tip: Make sure you wear closed shoes to climb the dunes. I learnt the hard way that the dunes get super hot and sandals do nothing to protect feet from the scorching sand! Doha turned out to be such an incredibly diverse destination to explore. 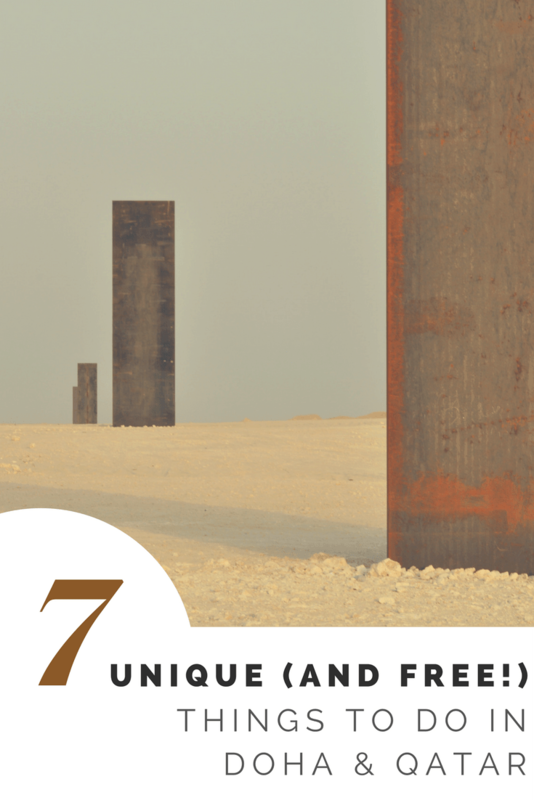 And with so many amazing free things to do in Doha and Qatar, there’s no need to break the bank while you’re visiting! For more info on where to stay and eat while you’re in Doha, make sure to read this post from the Middle East experts – Exploring Kiwis! The Al-Zubarah Fort kind of looks like a giant sandcastle! Crazy to think that at one point it was practically buried in sand! And that sunset view from Doha Corniche – woahhhh! Imma go ahead and admit that despite living in the Middle East, Doha has not been high on my list of places to visit, mostly because it seems so expensive. 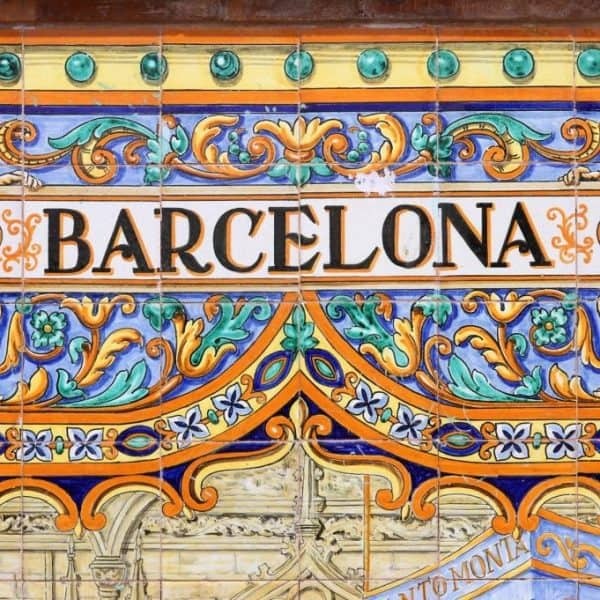 This is a great list of interesting sights to make the trip less dauntingly expensive. 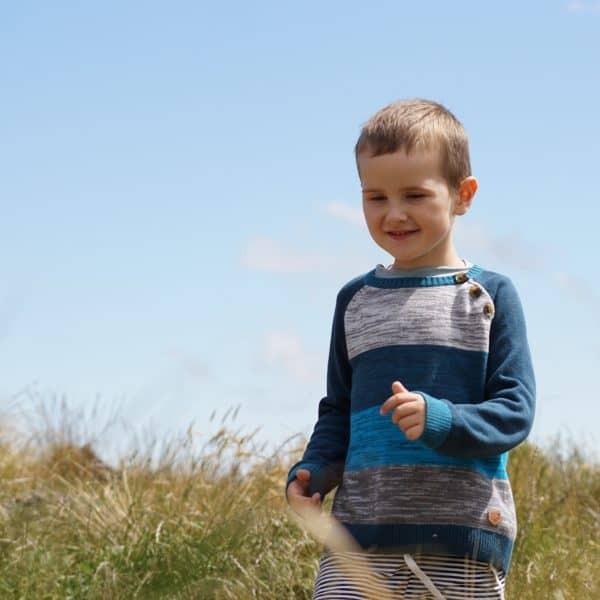 Great post, and thank you! Great post! Who would have thought Doha was so exciting! Great pictures too, love the colours 🙂 Keep up the good work. This looks amazing! I would definitely be out in the desert dune bashing ? Great content, quatar seems like a cool place, if I find myself in the Middle East I’m totally four wheeling those sand dunes!! We tried to move to the area last year so I was familiar with some of those places but not all. That souq! I could spend hours and hours there. What were the prices like? Looks beautiful! What great recommendations, and of course, everything is better when it’s free ? Awesome post! Living in Dubai, Doha is definitely on my travel list for the immediate future, I’ve heard so many lovely things about it i can’t wait to finally visit! 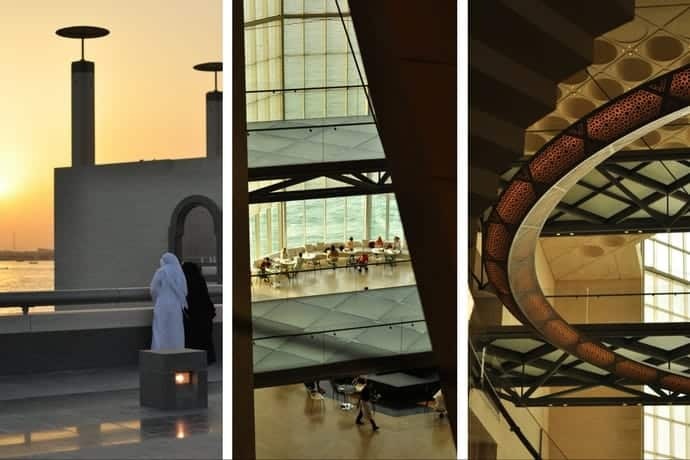 Doha has a lot of free things to do especially now that the National Library and at least 3 malls have opened!